Remember the checkerboard Vans slip-ons all the boys you fancied at school wore? Well, it's time to welcome the graphic pattern back into your life. Block out a square in your spring wardrobe for anything with the print, because this is the most playful trend to shop this season. 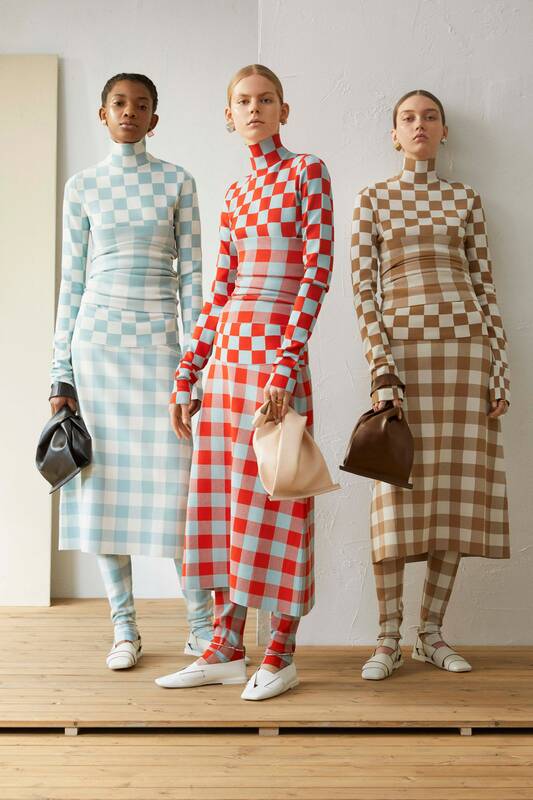 The most recent re-imagination of the print arrived last May in the Jil Sander resort 2019 collection. The checkerboard printed looks came in a sophisticated combination of colourways and were styled with matching plaid counterparts. Is the checkerboard print actually just plaid seen with 20/20 vision? It's certainly the new definitive, clear, and precise version of our favourite gingham and plaid prints of 2018. Click through for what checkered pieces we're shopping in anticipation for spring.